Just a few hours ago I posted my Indian Bridal makeup tutorial and who knew I could finish taking pics and editing the new pics ready for this post! Yahoo! Anyways...I was quite blur on what I should do for Halloween. Many actually suggested to do IT...but frankly I am too afraid of him personally. He is the sole reason why I hate clowns till this day! 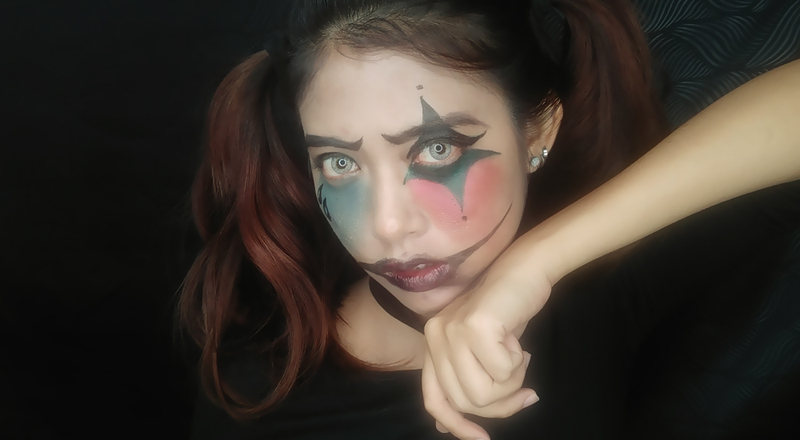 But nevertheless, I still chose to do a clown...because it is pretty simple and it would be easy for you to follow as well. 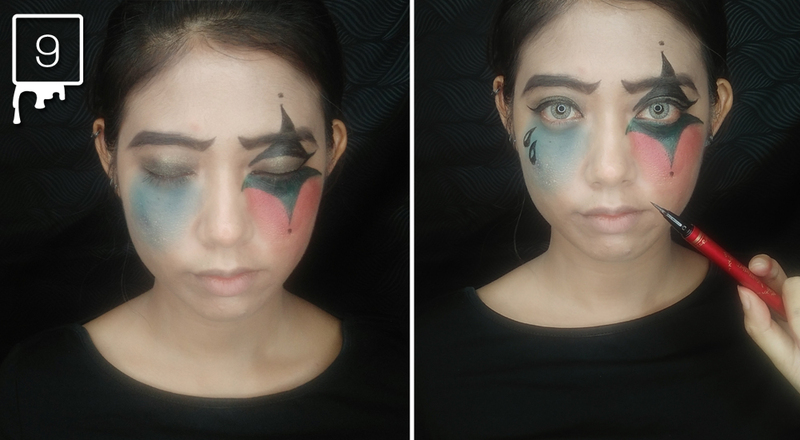 Who knows right, if this weekend you are suddenly called to attend a Halloween party and you barely have time to go all out, well then, this tutorial is like perfect for the occasion. 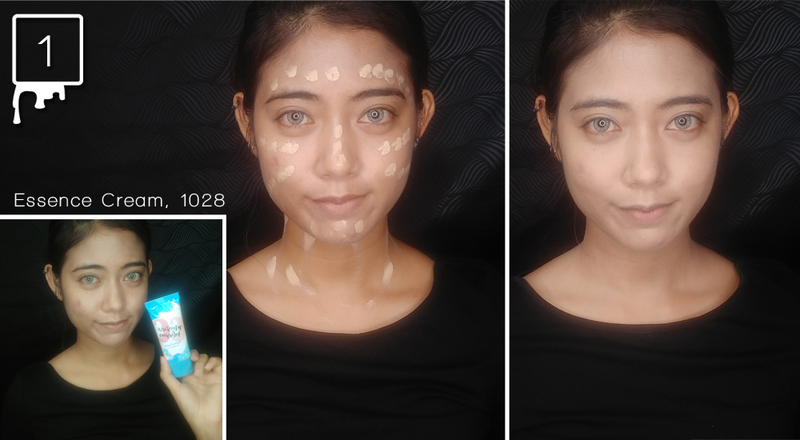 - As usual always put on a base and in this instance you might want to opt for the whitest foundation that you own. Don't forget the neck area too ya! 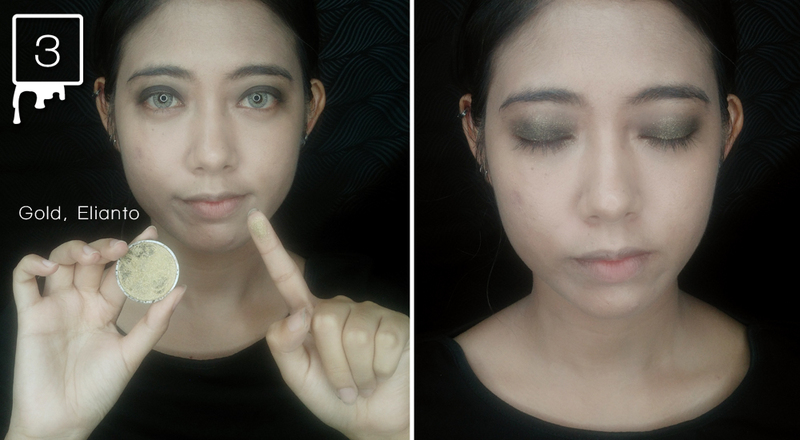 - Next, use a black eyeshadow and fill up your whole eyelid. You don't have to be neat with this. Just smudge it all around, as long as it is focusing on the eyelid. - Then, you should add some glam to your eyelids...you could either go for gold or silver. For this look I went with gold. Don't over dab the gold eyeshadow...it is merely to add some pop to the black base. - Hopefully, you have a blue eyeshadow...because that's what we will be needing for this look. Smudge it all over your cheeks as if you cried that blue out of your eyes. Remember to fade it out as you head towards the nose length. - Of course, what is a little blue without it's contrasting partner, red! 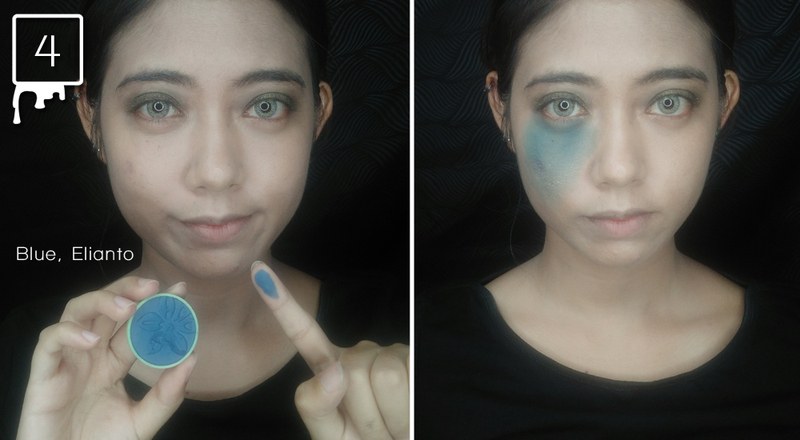 Do the exact same thing, but with a red base eyeshadow this time on the other cheek. 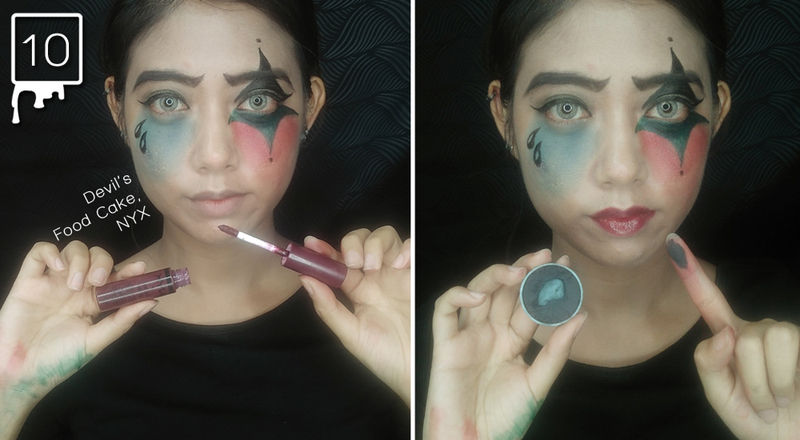 - Then, since clowns are very expressive with their eyebrows, draw them out like in the picture to get a forever-frowny brow. 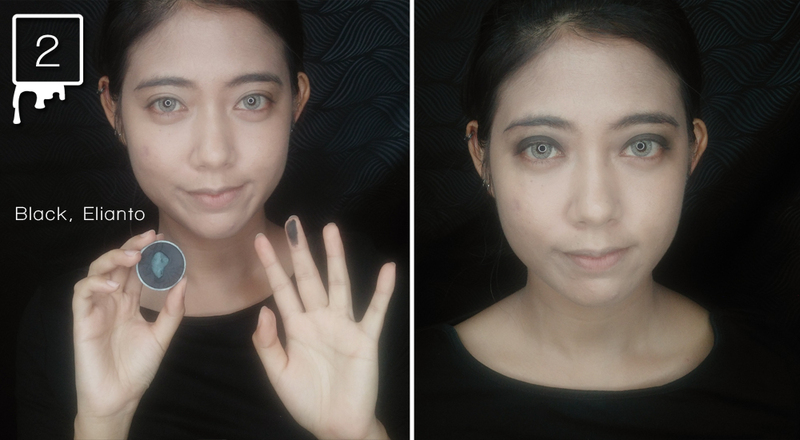 I just merely used the same black eyeshadow to do this. - Now comes all the drawing parts. 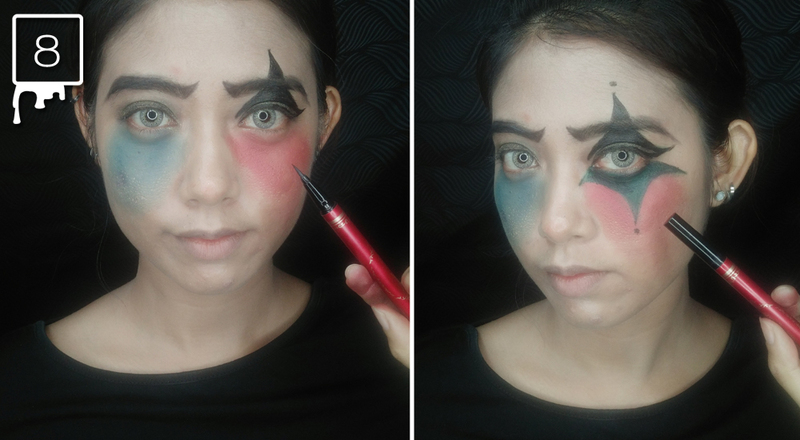 Use your eyeliner or black face paint to draw the shape as shown in the picture. - By the way, the left side shows how that 'pattern' should look like in full. To make things easier, just draw some tear drops on your cheekbone like so. 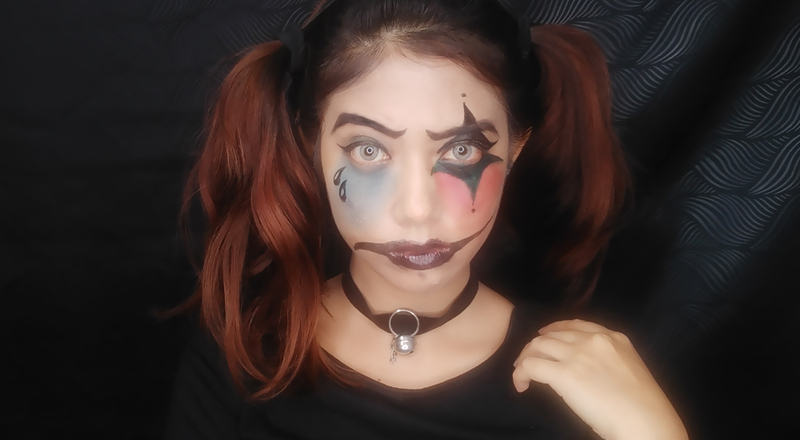 - And then, if you have black lipstick you can directly use it for the lips, however, since I don't own one...I used the combination method instead. I used the deepest lipgloss that I had and 'clumsily' dabbed the black eyeshadow over. Remember the key is to be as messy as you can! - Lastly, draw two opposites of an expression. One side should be smiling...while the other one should be an exaggerated sad expression. Do up your hairdo as messy as you like! And you are ready for an awesome Halloween night! 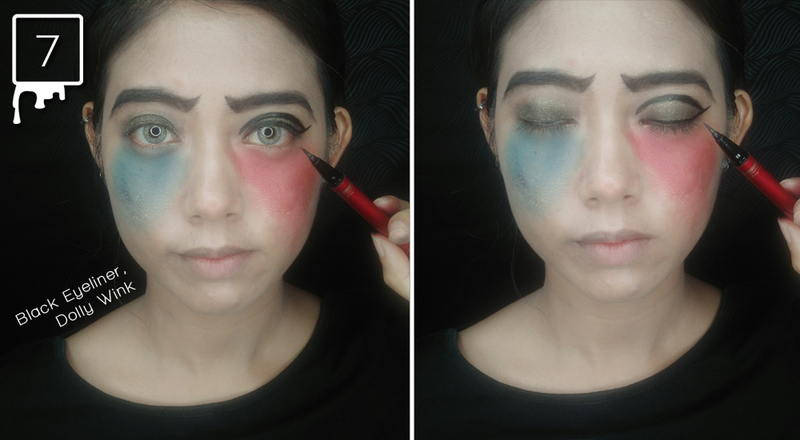 What do you think about this 'emergency' Halloween look? Let me know in the comment box below! 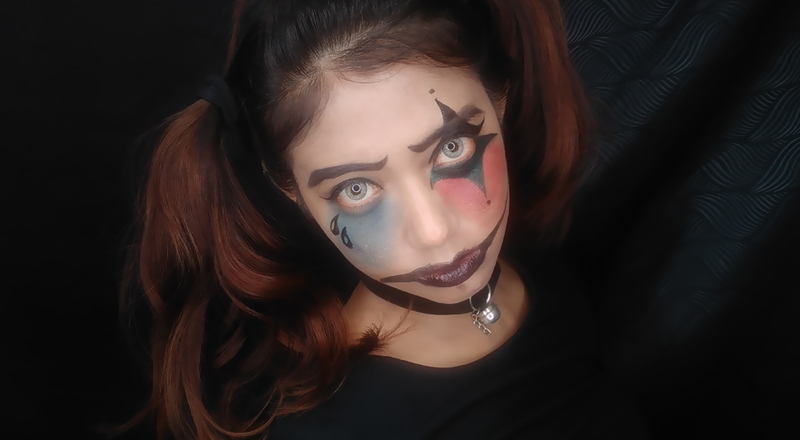 I've been invited to a Halloween party and have been cracking my head on how to do my make up. This looks easy to follow. Will try. Thanks for these tips. Happy Halloween! 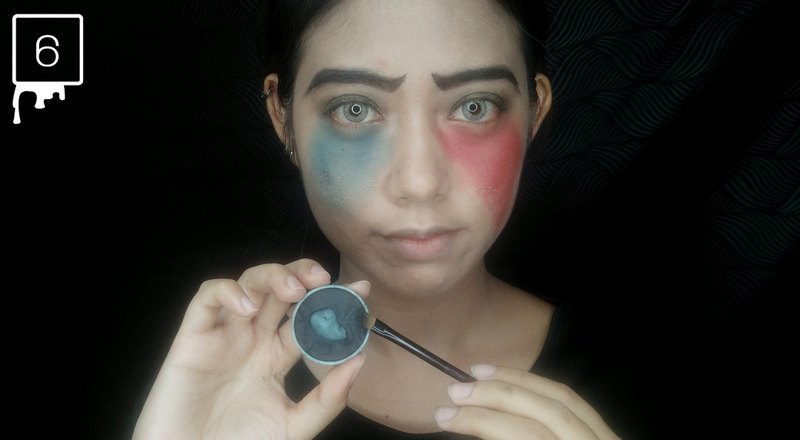 Your makeup is combination of joker and harley quinn! BTW, if you put bright red lipstick, will look scarier! You are one talented blogger. I'll show your tutorial to my daughter and for sure she'll love it! Wow. I like how you typed it out and show it with all the pictures, step by step! Quick n easy! Thank you! 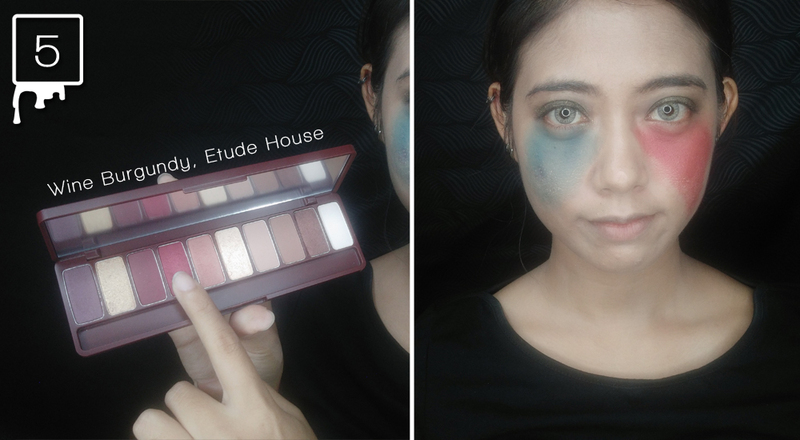 This is such a nice makeup tutorial for Halloween. You are very creative and talented. I will definitely try to this to my daughter. Omg. This is indeed so easy and scary. 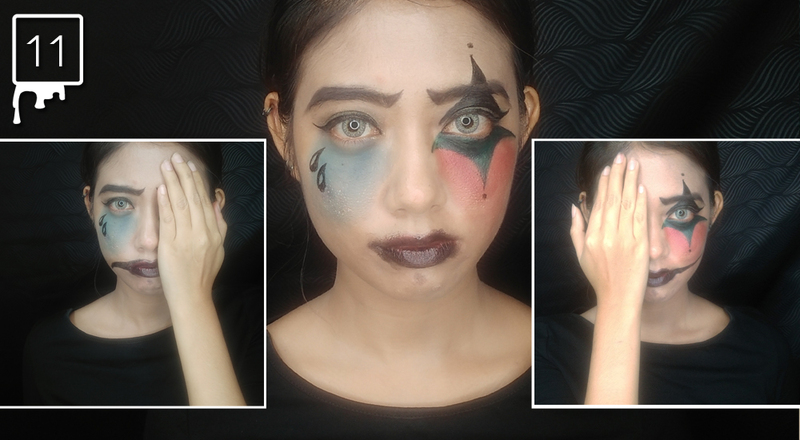 Well yeah, clown is easiest makeup ever haha. Cool!! This is very cool tutorial!! thanks for sharing!! The blog is all about positivity, beauty and brilliance. Trendy Hairstyles It is extremely nice to see the greatest details presented in an easy and understanding manner. Choice Dsquared Just pure brilliance from you here. I have never expected something less than this from you and you have not disappointed me at all. I suppose you will keep the quality work going on. bracciali in argento I am always searching online for articles that can help me. There is obviously a lot to know about this. I think you made some good points in Features also. Keep working, great job !